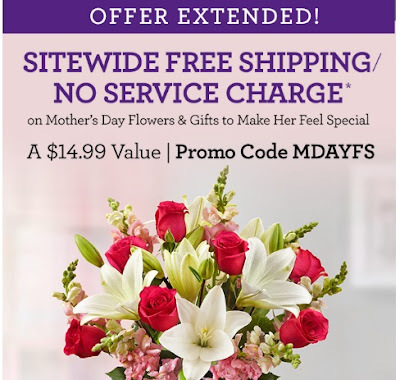 1800Flowers is offering Sitewide Free Shipping and No Service Charges on Mother's Day flowers and gifts to make her feel special! Enter the promo code MDAYFS at checkout. Offer ends May 4, 2016.